It was just after sunset when I arrived at the opening party for Prince Albert II’s spanking new yacht club alongside Monaco’s main harbour. The experience was disconcerting. I felt like I was walking on to an ocean liner from the great days of steam. Sparkling white superstructures rose to the sky from a series of warm teak decks. 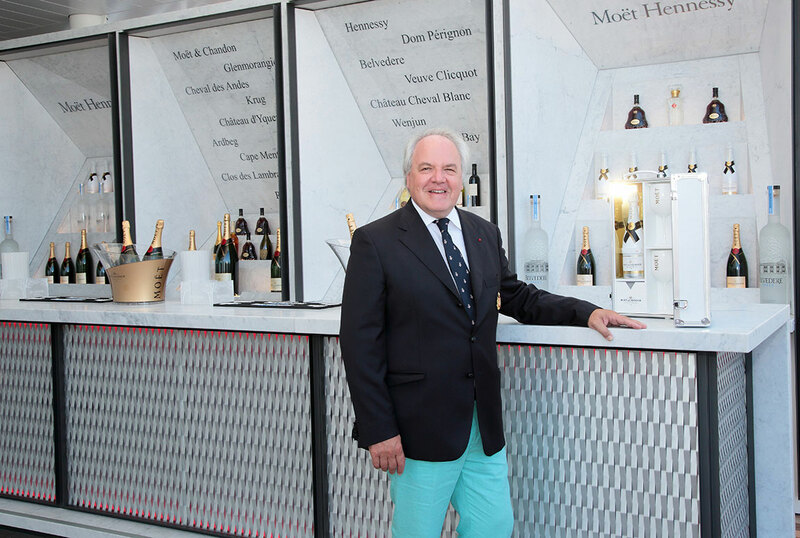 A swimming pool shimmered in front of a bar designed for Moet-Hennessy, capturing the names of all its fine brands in one edifice for the first time. I felt like a ship’s whistle should sound at any second, sending all landlubbers ashore. And yet we were clearly on terra firma. Not even the delicious (and copious) Moët Hennessy Imperial Ice champagne could persuade me that we were all at sea – despite the masts and Titanic-style silhouette. This is the genius of Norman Foster’s work for the Yacht Club de Monaco (YCM). He has succeeded in creating one of the most gorgeous looking ships that ever flew a pennant; and yet this vessel will never leave dry land and its “passengers” will be the exceptionally well-heeled members of YCM and their guests. Foster’s project had a challenging brief. He was asked to create a structure that provided new social and sporting facilities without feeling institutional and also a range of lux lounging opportunities in the form of an exclusive clubroom, bar, restaurant and swimming pool. The complex also had to offer expansive views out to sea, as well as inland over the Formula 1 grand prix circuit. These are bold goals and Foster has largely realised his ambitions. On the opening night his land-locked “city-ship” proved equal to all the tasks it was assigned. Etiquette, elegance and tradition defined the first part of the evening with the support of YCM partners (Rolex, Maserati, Moët Hennessy, Fendi Casa and Riva) before “Sébastien Tellier and the DJs Julio Santo Domingo and Greg Boust lit the fuse and had everyone dancing into the early hours,” according to YCM’s official statement. 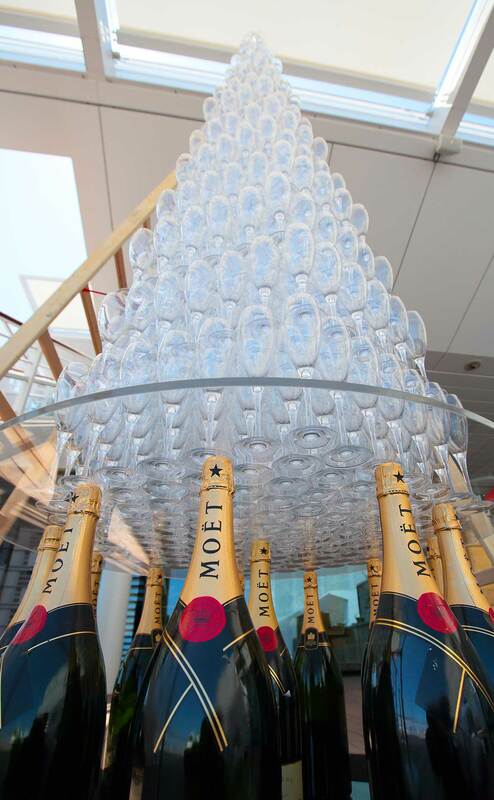 In reality the soiree was more anarchic, but in a good way as 3,000 of the world’s most affluent competed for space at the sushi counter and then scurried outside to watch the Prince and Moët Hennessy Chairman and CEO Christophe Navarre preside over the ritual decapitation by sabre of several magnums of champagne. Later a 6 litre bottle of Hennessy cognac was opened at the bar and consumed within 30 minutes, a new record, so I was told. By then the dance floor was pulsating and a few party goers may have felt the decks beneath them begin to move, but that was not because Foster’s brilliant new building was hitting rough water. 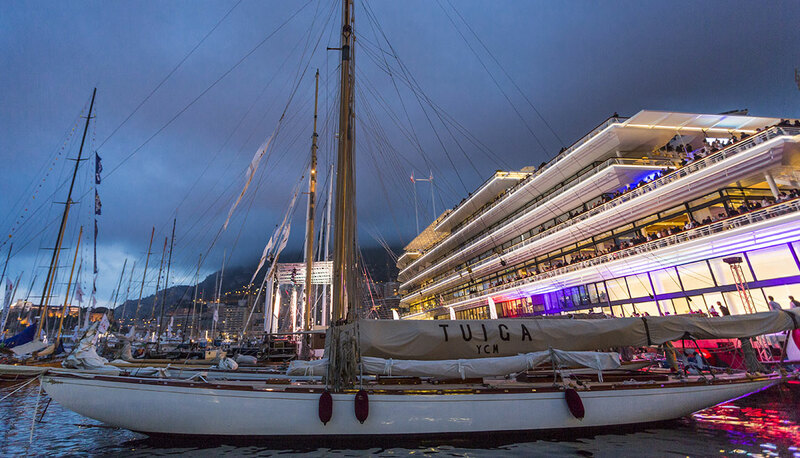 It sailed serenely on into the night, a fresh icon for the global travelling class and one that gives Monaco’s harbor a new air of elegance.